Just as a variety of conditions can affect the body, so can a variety of conditions affect the mouth, teeth and gums. Keeping your teeth, mouth and gums healthy is just as important as tending to your overall health is, and your dental health directly affects your overall health. One of the most common dental conditions that many people end up suffering from is dental caries. 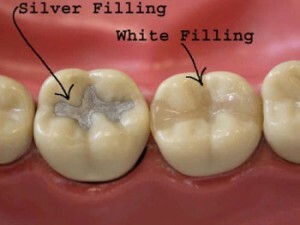 Dental caries, more commonly known as dental cavities, are the conditions that develop when the tooth begins to decay. Dental caries can occur on either the inside or outside of the tooth. In their earliest stages, dental caries appear on the outside of the tooth, which is known as the enamel. Oftentimes, dental caries cannot be seen in their earliest stages since they are usually hidden within the grooves of the enamel or in between two teeth. However, when dental caries begin to spread and worsen, they begin to move inside the tooth into what is known as the dentin. This is the soft, sensitive part of the tooth that is located directly beneath the enamel, and most people don’t even realize that they have dental caries until they begin to experience pain within the affected tooth after the caries have spread into the dentin. When the dental caries spread into the dentin is when they begin to become more visible as well by having a blackish and decayed-looking appearance in the area where the tooth is affected. There are a variety of causes of dental caries. Acidic foods and drinks can help wear away the enamel of the tooth and contribute to dental caries. Carbohydrate and sugary foods like bread, milk, cake, candy, cereal and others combine with the bacteria that is located within the mouth and get turned into acids, which because mixed with the saliva and food debris in the mouth and leads to the formation of plaque. Plaque wears away at the enamel of the tooth and makes the dentin more vulnerable to decay. Failure to properly brush and floss the teeth can lead to leftover food debris being left in the mouth, which can lead to further tooth decay. However, although people who eat lots of foods high in sugar and carbohydrates are more likely to develop dental caries, some people who do practice good dental hygiene might still develop them due to changes in the mouth, teeth and gums as they age. For instance, some people’s gums tend to pull away from their teeth as they age, which can expose the roots of the teeth and make them more susceptible to plaque and the development of dental caries and gum disease. If you happen to develop dental caries, then you’ll want to get them treated as soon as possible to prevent the condition from spreading or worsening. You certainly don’t want the decayed tooth to spread to the gums where it could lead to periodontal disease. The exact treatment method used to address dental caries depends upon how severely decayed the tooth in question is. In most cases, though, the dentist will use a drill to drill away the decayed portion of the tooth, and then the hole where the decayed portion was will be filled with a filling material. The material used to fill the tooth can be made of a variety of alloys like silver, gold or nickel, or it can also be made of porcelain or a composite resin, all of which have been proven to be safe and effective fillers for teeth. In cases where the tooth is so decayed that there isn’t much left to it, your dentist might recommend placing a crown over the tooth to give the tooth a more natural appearance. If a crown is placed, the dentist first removes the decayed portion of the tooth and then cements the crown over the tooth. The crown looks like a real tooth and is mostly used to protect severely decayed teeth and to enhance the appearance of your smile. Still, in even more severe cases where the tooth has become so decayed that the pulp of it is dead, you might have to undergo a root canal to remove the dead tissues, nerves and blood vessels, or you might even have to have the tooth pulled completely. Colgate. “Dental caries: How they are formed and what you can do to prevent them.” Retrieved on June 7, 2016, from http://www.colgate.com/en/us/oc/oral-health/conditions/cavities/article/dental-caries-how-they-are-formed-and-what-you-can-do-to-prevent-them-0813. Centers for Disease Control and Prevention. “Dental caries (tooth decay).” Retrieved on June 7, 2016, from http://www.cdc.gov/healthywater/hygiene/disease/dental_caries.html.